Remember when we used to be inundated with really creative 4 and 6-color direct mail pieces in our real mailboxes at home and work ? Pieces were creatively designed to motivate us to open, read and react to special product offerings. 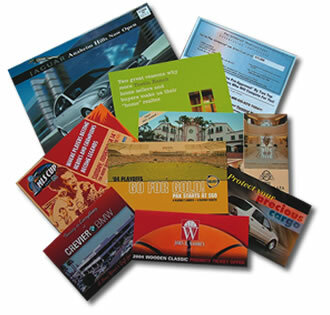 Business direct mail pieces often came in interesting shapes and dimensions, aimed at enticing our focus and attention and standing out from the mail pile. So how did marketers measure the success of their campaigns ? Direct mail tracking in the 1980s usually involved the establishment of a toll-free 800 telephone line to generate leads that could be passed on to the sales department. Services like Who's Calling and Call Source were able to link incoming calls to a person's name and address. In the late 1990s, campaign managers starting including their company's website address on these direct mail pieces. While this encouraged consumers to sample the firm's digital brochure, it didn't provide marketers with a tangible way of tracking the campaign's response rate. A successful traditional direct mail response rate in those days was usually recognized by having 2 percent of those targeted respond. Customer Relationship Management (CRM) relied on direct mail and product fulfillment. The most successful fulfillment houses were born in the late 1980s. Of course, the proliferation of e-mail in the late 1990s changed the face of direct marketing forever. In my next post, I'll analyze how e-mail marketing today is recognized by digital marketers as one of the top two tactics to an effective online marketing strategy.